Editor’s Note: the most valuable fiscal investment for many in their lifetime is in real-property; and quite understandably matters of legal and spatial certainty is of utmost importance to property owners, financial institutions, and public entities (for taxation, planning, and land management purposes). Entire industries have been created to address and ensure legal certainty, like title insurance, and the surveying profession serves to ensure both legal and spatial certainty. Globally there are many varied systems and conventions for ensuring legal and spatial certainty for real property – to protect the bona fide rights of the induvial and corporate land owners, and stewards of public properties. Some employ a formal, centralized form of land registration, and often (especially since the advent of geographic information systems) pair this with a cadastre (or cadaster) – a spatially accurate representation of property boundaries and land information. Such registration/cadastre systems, common in Europe, are growing worldwide. By contrast real-property management in the U.S. is handled via the recording of real-property records, instruments of conveyance, and of property surveys. Such recording-centric systems are typically handled at the state, or more commonly county level. While many counties have developed parcel-base mapping in GIS, these are used mainly for assessment and land use planning purposes and not as a formal instrument of registration – except in the relative few places that have Torrens systems (which we will cover in subsequent articles). Legal and spatial assurance for properties by a combination of land surveys and land title searches – but not expressly by the public entity. xyHt is beginning a series of content focused on examining the varied systems, the pros and cons, and how systems were transitioned form one to the other. Would registration/cadastre systems be unthinkable for U.S. states? Perhaps an open dialogue on the subject could answer that question, but first, let’s look at two representative examples of systems from Europe and the U.S.
An accurate and up-to-date record of property boundaries is essential for administering property taxes, enforcing environmental and zoning regulations, enabling owners to use their real estate property as collateral for loans, and resolving boundary disputes. There are several cadastral systems in use around the world. For example, the single national system in The Netherlands differs significantly from the typical system in the United States, where cadastres differ from state to state and, within states, from county to county. Since 2006, all of The Netherlands has had a single cadastre, land registry, and mapping agency, called Kadaster. Previously, there were 15 separate offices. Ruben Roes is Kadaster’s Chief Registrar. He studied law and worked at a notary office before joining the land registry and becoming a registrar. “My role is to register the deeds that come in and to update their Kadaster registration. It is an object-based registration; we pull into it essentials from the deeds. Kadaster’s base register also includes a cadastral map. My duty is to update the registrations and the map and make decisions if there are complaints.” Parties who do not agree with his decisions or argue that boundaries were not registered correctly can appeal them to a court. In The Netherlands, all the plots are parcels; therefore, Kadaster does not have to register new parcels. Sometimes, however, parcels are split, or must be changed. There are about ten million parcels and about one million transactions a year—such as conveyances, deeds of ownership transfer, and mortgages. The transactions affect about five percent of the parcels, because usually transfers and mortgages are done at the same time. Kadaster’s data provides support to the public in making land choices. “It all starts with the agreement between the seller and the buyer,” Roes explains. “Most of the time, the seller has a real estate agent, who makes up a contract of sale. It is a legal requirement to run every transaction—every deed of transfer or every establishment of real estate rights—through a notary. So, the real estate agent sends the contract to the notary.” Most of the time, the buyer needs a mortgage, so the bank also sends mortgage papers to the notary. The notary then prepares a deed to convey the property and another one to establish the mortgage—and queries Kadaster Online, Kadaster’s online object-based registration. He reviews the map, checks who the owners are, and whether there are any servitudes, attachments, or seizures. Once all of this is done, the parties agree on a date of transfer and make an appointment with the notary. Just before signing the deed, the notary checks whether there have been any changes. Then the notary and the parties sign the two deeds and the notary sends them electronically to Kadaster, with a digital certificate of his signature. Because the Netherlands is already divided into parcels, new lines are drawn most- ly to split parcels. Ruben Roes is Kadaster’s chief registrar. Kadaster has exported their expertise around the globe. Dozens of countries, especially those in the developing world who may not have had any formal systems before, are adopting some or all of the Dutch model. Some countries with existing variations of registration and cadastres have sent specialists to Kadaster on exchanges and for training. Roes colleague Paula Dijkstra, Regional Manager at Kadaster has been a strong proponent of cadastral system development worldwide, co-founded the FIG Young Surveyors Network, and incidentally was honored as one of xyHt’s 40 outstanding geospatial professions under 40 in 2017. Tim Mercer is the GIS/Cartography/Parcel Management Supervisor for the Department of Assessment, Recording & Taxation (DART) of Multnomah County, Oregon, with Portland as the county seat. Portland rank 18 in the U.S. by combined statistical area (CSA) and is the largest in Oregon. He supervises four GIS technicians and three assessment and taxation technicians. He has been a cadastral cartographer for about 16 years, working for three different Oregon counties as well as the state’s Department of Revenue. Before the County converted maps to CAD in the late 1990s, paper maps were living docu- ments that were main- tained for decades. Multnomah County’s cadastre consists of two separate databases: a GIS database and a CAMA (Computer-Aided Maps Appraisal) system, which is the assessor’s database. “For many reasons, we’ll do merges of those data to create GIS data that has a lot of the assessor’s data in it. We do that on a weekly basis to create a product that people can use in GIS applications, including Web-based applications.” One example is the City of Portland’s Portland Maps product, which uses the value-added tax lots that the county creates on a weekly basis. However, there are plenty of reasons why the two records might not match. Most often, it is due to human errors, such as typos. Consolidations—a type of action in which an owner of two contiguous lots combines them into one—can also create problems. “A consolidation is not a recorded document so it doesn’t show up in the public record, often it doesn’t make it to a title company and into their title plant,” Mercer says. “So, when they go to do the conveyance, maybe they only convey one of the two legal descriptions.” Similarly, property line adjustments create problems when they don’t make it into a title plant. “When the title plant goes to pull the description, they pull the old description previous to the lot line adjustment and that produces an error.” The county’s owner group reviews and resolves these discrepancies, often after consulting with Mercer’s GIS techs, who are cadastral cartographers and thus experts in how to read legal descriptions and reference maps. Simple conveyances rarely require a new survey. However, property line adjustments and lot segs—short for segregation, the process through which two or three old lots that have been trading as one economic unit are re-formalized as two or three lots—often require the involvement of a surveyor and we’ll get new descriptions that match the new survey. Likewise, whenever a new plat is surveyed and recorded, it becomes part of the public record. DART publishes PDF versions of its maps, which get very little use, and polygons for use in GIS, which are used a lot. “Anybody who does GIS within Multnomah County is using our polygons.” For example, they constitute a layer in the Regional Land Information System (RLIS) created and administered by the regional government, Metro. Multnomah County’s Surveyor and Assessor Image Locator application (sail.multco.us), is a GIS interface that catalogs all the recorded surveys and plats in the history of Multnomah County as well as all of its assessors’ maps. There is also a mobile version of this. “The next frontier of cadastral cartography is all about sub-parcel mapping,” Mercer opines. “We’ve made a business decision not to map the details of condominiums. We make sure that there’s a placeholder polygon in our GIS data set so that we have a one-to-one relationship between the tax lots in a condo and the polygons, but we don’t take the time to actually map their true footprint or of the individual units.” It would be extremely time consuming to do, he explains, and would yield only very minimal value from a business perspective. Tim Mercer is the GIS/cartography/parcel management supervisor for DART in Multnomah County, OR. “The future of our work is 3D sub-parcel mapping,” says Mercer. “The tools aren’t quite there yet to make it time-efficient to do that. We would know that particular personal property is on floor 12 and in this corner of the building, and maybe we’d even have a 3D GIS application where we could see it and pull up some pictures. 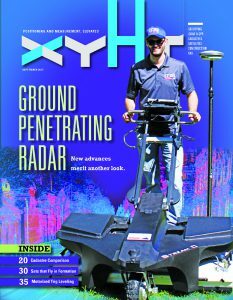 In our current application, we can turn on some aerial photos and lay the text outlines over the top.” You can read more about the subject of 3D cadastre in the xyHt article. A few small areas of in the United States use a Torrens system, in which a county registrar keeps a register and property owners who want to update a deed go there and change the registration to the new name. In Oregon and much of the United States, however, the deed is the transfer document. It is recorded and made part of the public record, so that everybody can see it. “So, there is no updating the registration or updating the deed; you’re simply recording a new deed that completes that transfer,” Mercer says. Both systems work, may work well, or in some instances not-so-well; but success may be more of a function of how well a system is run that the type of system. Formal cadastres have grown in their appeal globally, and the subject has been finding its way into dialogues on land systems in the U.S. and other countries with similar transactional recording systems. The systems share more similarities than differences concerning the role of surveyors. Are existing local-level systems, developed under the limitations of analog solutions, to big and complex to adapt to the modern era of rapid and efficient surveying and digital registration systems and mapping? Would the cost savings of a registration system (e.g. less need for title insurance and transactional research) outweigh the cost of system administration or be a wash? These are the kind of questions to be considered; but first we will provide more examples of various systems (e.g. Torrens) and how the varied systems work in future issues of xyHt.